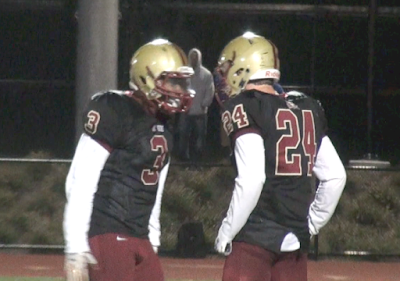 BC High's defense will get a stiff test this week against an underrated and physical Xaverian offense. SuiteSports reporters will be covering high school football games across the Commonwealth this weekend. Here's a look at all the games we'll be watching over the next few days. Our Matt Feld will take in this Catholic Conference clash, as two of the favorites in Division 1 go head-to-head in what should be a physical war. 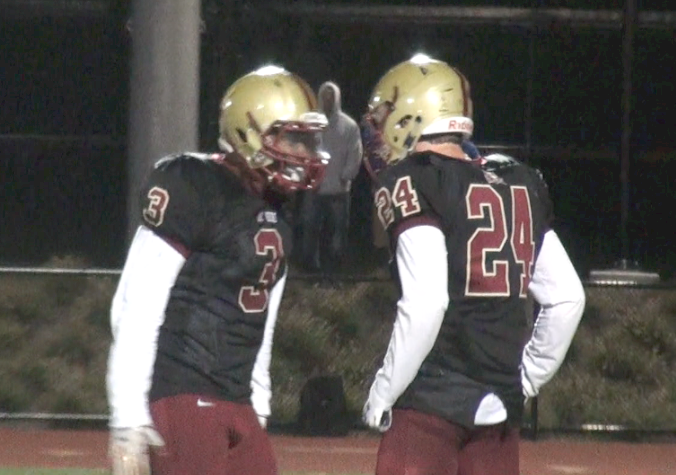 BC High will be looking to bounce back from an upset loss to St. John's Prep last week, and will need a big performance from star running back Danny Abraham against a stout Xaverian defense, led by stars Mekhi Henderson, Cal Flanders and A.J. Ryan. The Hawks have won four in a row since dropping a close one to Bridgewater-Raynham, and would love to pick up this win heading into the postseason. Reporter Jason Siegel will be in Northborough to watch suddenly resurgent Algonquin host the current top dog in Central Mass, physical Wachusett. It should be a war in the trenches, as both teams boast great offensive and defensive lines, and each coach knows he has several guys who can tote the rock. The difference may be turnovers, and both defenses have been adept at forcing those this season. Whichever team can play its game and minimize mistakes will likely walk out of this Mid-Wach showdown victorious. B-R bounced back from a close loss to Dartmouth by blasting Barnstable, while The Prep has won three in a row since losing back-to-back game against Central Catholic and Everett. Each of these teams has the talent to make a deep run, but neither is without its questions, and reporter Nate Weitzer will be there to see which team answers them. For St. John's, that question is experience, but the Eagles seemed to answer the bell last week against BC High. For B-R, the question will be if the Trojans can score, consistently, on a team that can match them both physically and athletically. SJP will certainly be able to do that, and this game will tell us a ton about both teams as they head into the playoffs. Ed. Note- Editor Joe Parello was going to watch the Rams visit the Chieftains, but a personal matter came up. However, this should still be a great game, and you should definitely check the Telegram & Gazette's sports Twitter for updates. The Rams' playoff hopes were all but sunk last week in Leominster, but they can still play spoiler and prove their worth against reigning Division 2 state champion Nashoba. The Chieftains are licking some wounds of their own, coming off a 20-point loss to league and divisional rival Marlboro, but each of these teams knows how to hit, and you can bet there will be some pads popping in Bolton Friday night. This game couldn't be any bigger for the Indians and Redmen, as each comes in at 6-0, and the winner can claim the Merrimack Valley title, along with the top seed in Division 2 North. With wins over Andover and Everett, Billerica has proven it can play with anybody in the state, but don't sleep on a Tewksbury team that has shown the ability to win games in a variety of ways. Nate Weitzer will also be at this game, which should be one of the biggest in recent MVC history. Finally, reporter Connor Evans will be at one of Central MA's best rivalries, as the Blue Devils travel to face the Pioneers. Leominster is riding high after a comeback win over Shepherd Hill, while St. John's will certainly be motivated after a loss to Wachusett last week. Not that either of these teams will need any motivation, as these games are always emotional and hard-hitting. The winner will climb the rankings in Division 2 Central, and could lock up a home game in the first round of the playoffs… Which may end up being a rematch of this game.